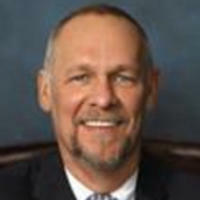 Howard is President, Owner and Director of the Creran Funeral Home in Oaklyn, NJ. Born and raised in Oaklyn, NJ, Howard is a 1977 graduate of Collingswood High School and graduate of the Mercer County Community College, Mortuary Science Program. He earned his funeral director license in 1978. In addition to serving on the Board of Directors of People for the Poor, he is involved in many organizations in Oaklyn and Gloucester City. These organizations include: a member of Gloucester City Small Business Association and member of its Board of Directors. He is a member and past president of the Gloucester City Rotary Club, past President of The Lion’s Club of Oaklyn, a member of the Gloucester City Lions Club and member of the Board of Directors. He is a member and Past President of The Revelers Club, and lector at St. Joseph the Worker Parish. Personally, Howard is very proud of his four grown children and adores his three grandchildren. He enjoys golf and is a member of Tavistock Country Club and has recently taken up sailing.